WASHINGTON — Denmark has officially agreed to buy 27 F-35A joint strike fighters to replace its fleet of aging F-16s. The selection puts an end to Denmark’s delayed fighter modernization decision that was in its early stages in 2010 before economic issues forced Copenhagen to hit the pause button. It was officially re-launched in 2013, now eyeing only 30 fighters instead of the planned 48. 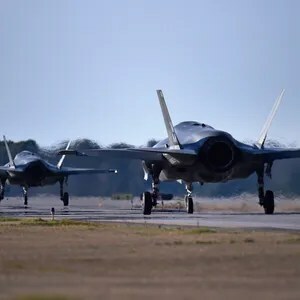 The news was not unexpected, as the government in early May had announced its recommendation to buy 27 F-35A models at a rate of 20 billion Danish Kroner, or about $3 billion. However, competitors hoped questions about Danish price estimates might scuttle the F-35 buy. The Lockheed Martin designed plane beat the Eurofighter Typhoon, and Boeing F/A-18 Super Hornet as Danish options. Denmark is an industrial base partner on the F-35 program. 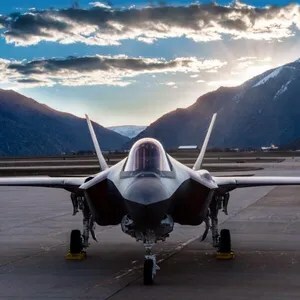 Almost immediately after the government’s analysis zeroed in on the F-35, Boeing challenged local cost estimates for the fighter, saying the government underestimated the per-unit and sustainment costs for the joint strike fighter. Those questions led to fresh scrutiny from the Danish parliament’s Committee of Defense. However, those concerns were not enough to derail the agreement. Terma, Denmark’s largest defense company, produces composite aerostructures and radar electronics for the global F-35 fleet. Jens Maaløe, Terma’s president and CEO, said in a statement that he was “very pleased” with the decision to officially purchase the F-35. “Our company has evolved parallel to the program and we are excited to see what this new phase in our collaboration will bring. One thing is certain: we look forward to explore new areas of cooperation and bring “best value” to the F-35 program,” Maaløe said. “To be a supplier to the international military aircraft industry takes hard work and dedication – and we are ready to continue down the road we began more than a decade ago”. Gen. Chris Bogdan, F-35 program head, said in a statement that his office welcomes the decision. 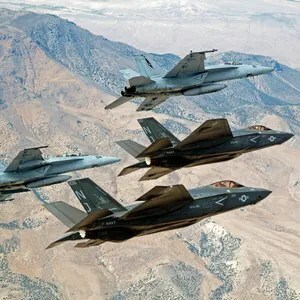 With Denmark’s decision, the F-35 remains undefeated in open competitions among foreign allies – although that statement now comes with a caveat, as Canadian Prime Minister Justin Trudeau has made it clear Canada is reversing its decision to buy the fighter. Just this week, Trudeau blasted the jet as a fighter that “does not work and is far from working.” Instead, his Government appears to be focused on buying F/A-18s as an interim solution. The story was corrected to reflect that Saab declined to compete for the program. Be the first to comment on "Denmark F-35 Buy Goes Official"